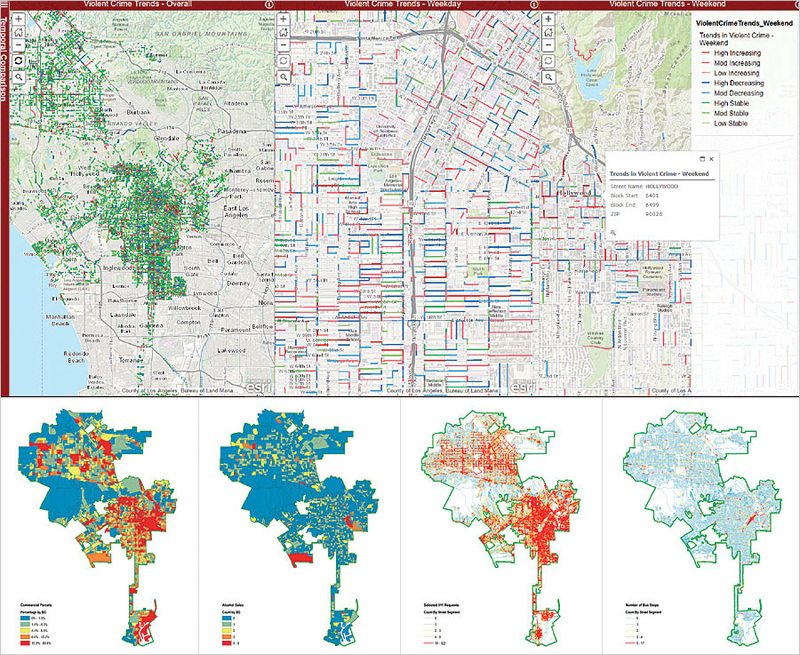 A group of students from the University of Southern California (USC) recently used open data from the Los Angeles GeoHub to build an app that better explains crime in the city over the past 10 years. The project, called A Spatial Analysis of Street-Level Crime Trends in Los Angeles, was initiated in fall 2016—less than a year after Los Angeles launched its GeoHub, a public platform that allows anyone to explore, visualize, and download location-based open data. The students created a mapping app that brought geocoded crime data together with social and built-environment characteristics, such as unemployment rates and the presence or absence of streetlights. The USC students used GeoHub data and geocoding to assign a street to each crime. They created a mapping app that brought the crime data together with social and built-environment characteristics, incorporating variables such as unemployment rates, the presence or absence of street lights, and proximity to metro rail and bus stops. The team then analyzed the data according to specific street segments. 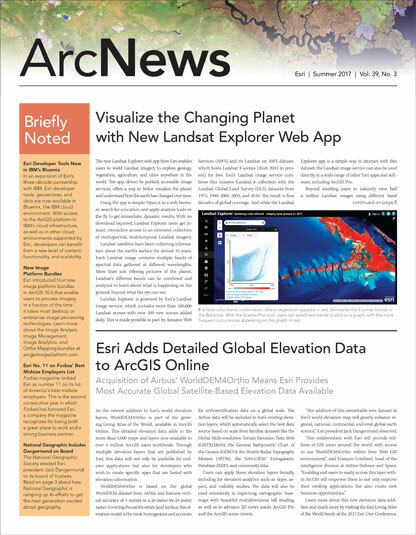 “We want our students working on real problems with real people and real data,” said spatial sciences and sociology professor John Wilson, who also directs the USC Dornsife Spatial Sciences Institute (SSI). The SSI research team—which consisted of USC postdoctoral research associate Noli Brazil, GIS project specialist Beau MacDonald, graduate student Yuqing Qian, and undergraduate students Robin Franke, Izzy Mitchell, Leo Ngo, Kyra Schoonover, and Richard Windisch—presented its findings to Los Angeles mayor Eric Garcetti’s deputy mayors, his data team, the Los Angeles Police Department (LAPD), and representatives from other city departments and agencies. The presentations demonstrated how a mapping app can uncover important crime patterns and how, by implementing a street segment approach, city leaders can better understand where and when crime occurs. Explore Los Angeles’ open data.